"The Flower of Evil. One of the first sculpts for Alternative Armies by the awesome Sam Croes and now in high quality grey tone resin and reduced in price too. It is great for many scales and settings. 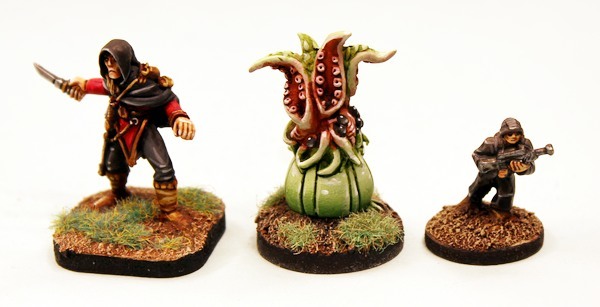 You can use it in 28mm in 15mm or even in 6mm as it sizes its threat to your other miniatures. Horror Games, Post Apocalyptic, Science Fiction, Plant Wars (they are Triffic!) and more. Go HERE or read on to learn and see more…"
Time for Roundup and a nuclear powered weed wacker! 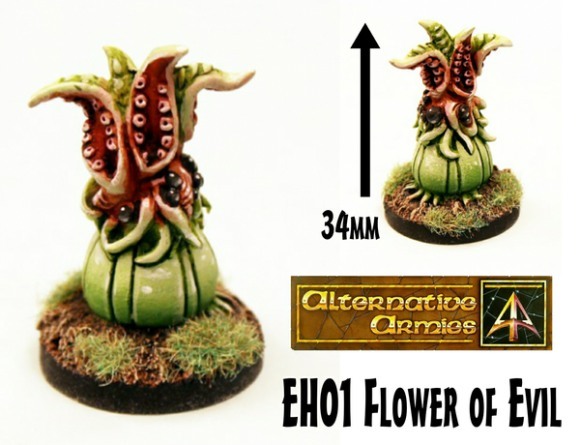 Could also make a large exotic alien tree in 6mm. 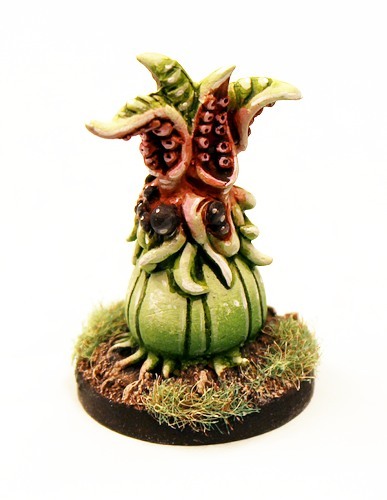 Some kind of plant that has a symbiosis with small flying creatures that fertilize it, and maybe even bring food to it . . .